Just a random cute scene. 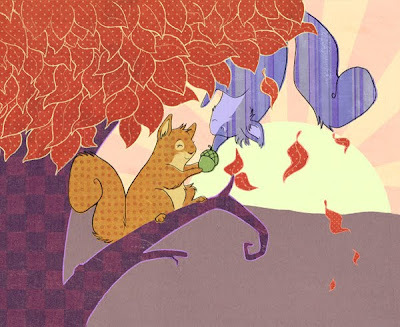 Two squirrel friends find an acorn. "Let's plant this acorn and let it grow into a big tree, and let's promise that our friendship will last as long as the tree stands," they say.